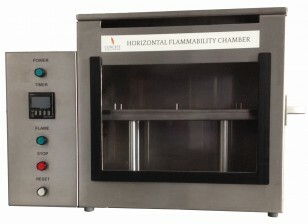 The HFC Horizontal Flammability Test Chamber is used in various areas of fire testing of materials, including FMVSS 302 – Department of Transportation – First ½” depth of materials in occupant compartments of all motor vehicles, ISO 3795, Volkswagen TL 1010, FAA – FAR Part 25 Appendix F Part 1(b)(5) – Some materials used in interior compartments of air planes and Boeing BSS 7230 F3 and F4. The chamber can also be used for non-certified FAR horizontal flammability testing. The test commences automatically on specimen insertion. 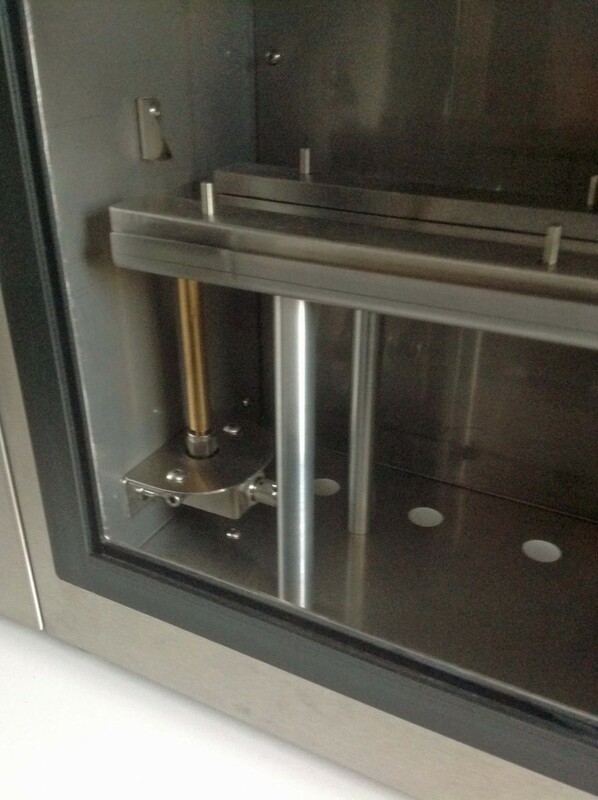 Flame impingement time is adjustable and is programmed into the controller and terminates the test flame at the desired time. It is adjusted by a simple up and down button. 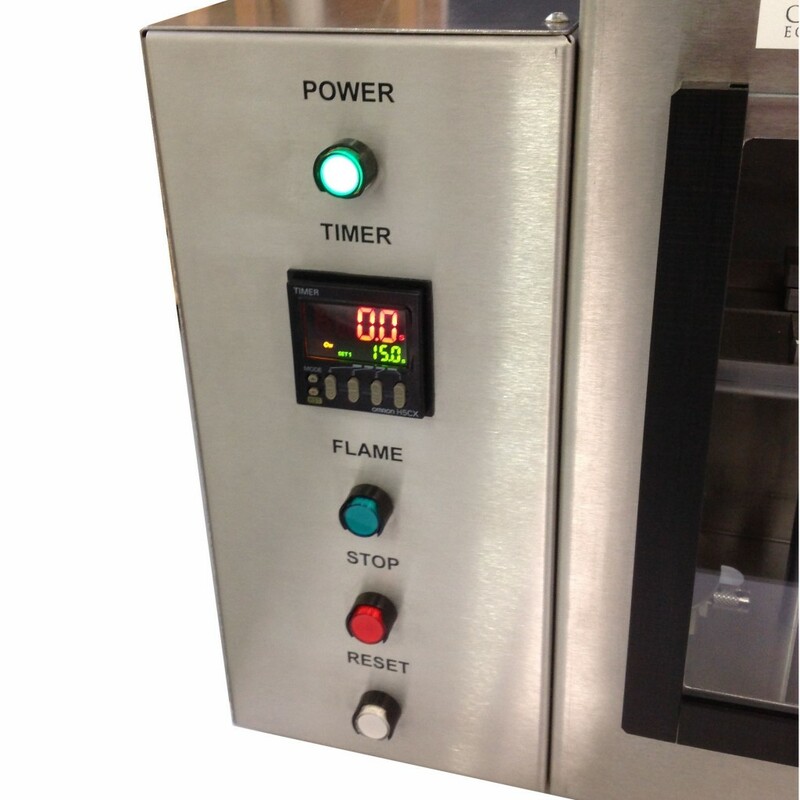 The digital timer records total burning time, which is then used to calculate burn rate.